A deputy secretary of the Party Committee of Ho Chi Minh City has committed serious wrongdoings that triggered social outrage while damaging the organ’s prestige, the Inspection Commission of the Party Central Committee has concluded. The inspection commission released conclusions on the serious violations of regulations committed by several officials on Thursday, following its 31st session from November 12 to 14. The commission concluded that Permanent Deputy Secretary of Ho Chi Minh City’s Party Committee Tat Thanh Cang, who is also a member of the Party Central Committee, flouted the principle of democratic centralism, as well as the municipal Party Committee’s authority and working regulations on asset management and use in enterprises owned by the municipal Party Committee. Cang is found to have contravened stipulations on deciding the business cooperation policy and transferring project ownership as well as land use rights among the companies, according to the official Vietnam News Agency. He is also accused of allowing the Party Committee’s capital representative to vote on the issuance of stocks to strategic shareholders at enterprises. Cang is charged with lacking responsibility, as well as being lax in management and in his inspection of the fields under his authority, which caused critical losses to the municipal Party Committee’s budget. 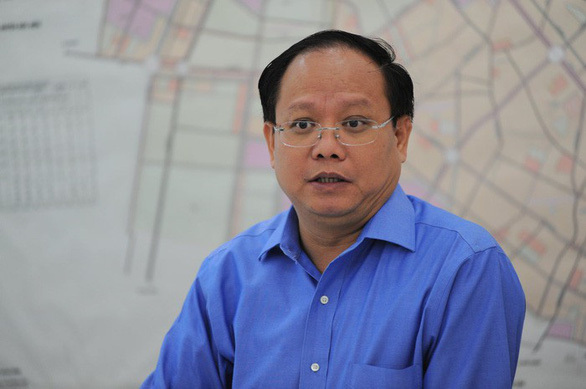 During his time serving as director of the Ho Chi Minh City Department of Transport, Cang also broke the law to approve the construction of four main roads in the Thu Thiem new urban area. The inspection commission said that Cang’s wrongdoings are serious, triggering social uproar while damaging the municipal Party Committee’s prestige. Besides the case of Cang, the inspection commission also decided to give a warning to Nguyen Trong Dung, deputy head of the enterprise innovation division under the Government Office, for his role in a scandal where state-run mobile carrier MobiFone overpaid for the acquisition of 95 percent of local pay TV provider AVG. Le Manh Ha, former deputy chairman of the Government Office, and Deputy Minister of Finance Tran Van Hieu were reprimanded for their violations in the MobiFone-AVG case. The commission also asked the Party Central Committee’s Secretariat to consider and give punishment to Bui Quang Vinh, former member of the Party Central Committee and former Minister of Planning and Investment. The commission decided to expel Chu Hao, director and editor-in-chief of the Tri Thuc Publishing House and former Deputy Minister of Science and Technology, from the Party for his very serious violations of the principles of the Party organization and operation, as well as of the provisions on those things the Party members must not do.